The Vietnam family holidays 2019 are specially designed and operated by Viet Vision Travel, one of the best family tour company in Vietnam, to bring the most amazing experiences and unforgettable moments together with your beloved family. The perfect combination of discovery, learning, and enjoyment will be treasured memories for the whole members in every family tour in Vietnam. Our Vietnam family holidays cover a wide range of cultures, history, and tradition at all must-see attractions along the country. 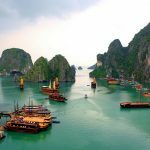 Your children will have a wonderful chance to gain a deeper understanding of 4000-year-old land hidden ancient inside ancient constructions as well as interesting customs while you and your while can enjoy the luxury Vietnam family tours on romantic beaches, at state-of-the-art cruises, and through mouth-watering local cuisine. A ton of fantastic activities at World Heritage Sites and other attractions in Vietnam are the spotlights of our travel services. However, our Vietnam family holidays are flexible when you can create your own itineraries with enthusiastic support from our travel experts. 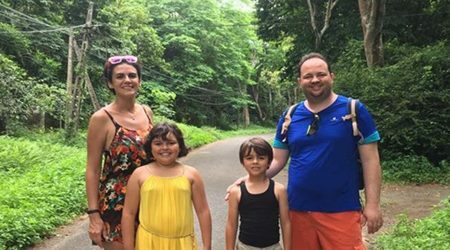 Vietnam family adventure tours, Vietnam family cycling tours are the tailor-made ones in style which brought incredible things for our customers’ family. Moreover, Vietnam family tours are not blocked by the Vietnamese boundary but expand to its neighbor, mighty Cambodia. Our Cambodia and Vietnam family tours select the best essences from these two countries to bring you closer to two of the most gorgeous civilizations in the past. Travel with your little dears does not mean your holiday is through. 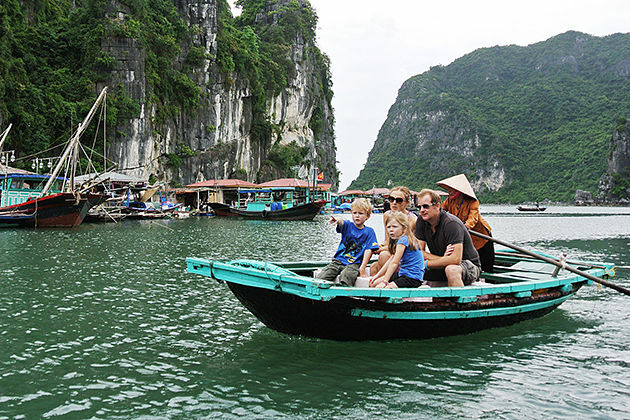 Vietnam family tours discover exciting locales in Vietnam – Hanoi, Sapa, Halong Bay, Hoi An, Hue, Saigon, Mekong and more – with age-appropriate activities and accommodations that know how to cater to families on the move. Quality accommodations and more inclusions than on other Viet Vision Travel’s packages, like meals, private transport, and activities. Physical Rating: Light cycling, walking, and hiking, as well as all activities, are suitable for most fitness levels. Nothing too challenging. 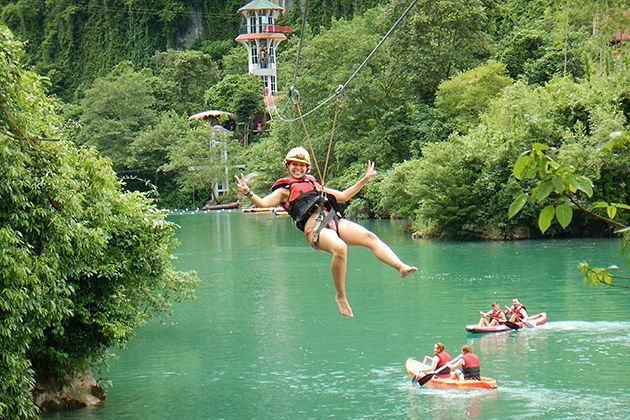 Age Requirement: All travelers under age 18 must be accompanied by an adult. This is a classic Southern Vietnam Tour which is personal designed for family who has short time in Vietnam. The tour covers all the highlights of Saigon and surroundings with Cu Chi Tunnels, Cao Dai Temple, and Mekong Delta. It’s also included some special activities such as water puppet seeing, biking…. 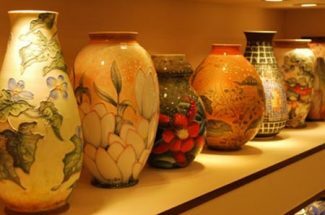 Starting from Hanoi, the tour will take family to the highlights of Northern Vietnam such as Halong Bay, Bat Trang Ceramic village…. Joining with the Classic Vietnam family tour is also a chance for all members of family to taste and enjoy the special cuisine of Vietnam. This tour is suitable for both family with children or not. Vietnam is one of the best destinations in Asia that can offer travelers an amazing range of adventures and relaxing moments to satisfy a family with members of different ages, interests, and tastes. Consider the list of the best attractions to enjoy on your Vietnam family tours. From North to South, Sapa is the first and foremost place that worth your visit in all Vietnam family tours. It is a peaceful mountainous area and a home to many ethnic minorities groups working on amazing rice terraces. Your family will be absolutely enchanted by the majestic Fansipan mountain, the rooftop of Indochina, but easily conquered by the cable car. Besides, your Vietnam family adventure holidays in Sapa will take you to local villages scattered on hills inside immense forests and besides yellow rice terraces. Spend a day living like the locals in stilt houses, tasting their unique specialties, strolling around the surrounding areas to behold the scenic beauties will completely leave your family unbelievable memories. No better places for your family trips to Vietnam to discover the diversity of Vietnam tradition and cultures than the 1000-year-old capital, Hanoi. The unique cultures and history of Vietnam are clearly on display inside the city through the Old Quarter of Hanoi still retaining a wonderful sense of timeless grace and much of its population continues to observe the century-old customs and traditions. The Water Puppet shows with the art of puppet performances on the water most of the scenes taking place in rural settings with rice paddies, fishponds, bamboo thickets, banyan trees, wells, and of course the village temple, in addition, are the specific example of many exciting activities in Hanoi that your family and enjoy together. The vibrant street-life and excellent Vietnamese cuisine will impress your family when exploring the bustling street markets, seeing food vendors prepare the local dishes and tasting many different wonderful street foods. Many of the old temples in Hanoi the great museums also give the family an opportunity to travel back to the epic history of ancient Vietnam. Undoubtedly, Hanoi is a diverse city for everyone to discover on Vietnam Family Tours. The most famous destination in Vietnam is Halong Bay and a cruise through the thousands of limestone karst is a must-do for every tourist travel to Vietnam. Your Vietnam family adventure tours would not be completed without a stay overnight on a traditional junk in Halong Bay where you can explore caves, kayaking, swimming in the crystal blue waters and enjoy fresh seafood. Wake up on junk, take part in the morning Tai-Chi and watch the sun rising over the karsts in Halong Bay are images that will travel with the whole family forever. 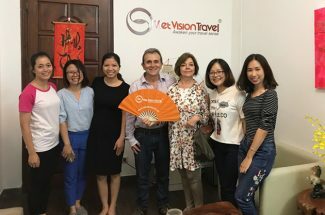 An organized tour by the local tour operator like Viet Vision Travel is really a spectacular way to experience Vietnam country with your family. Though Ninh Binh is not as famous, touristy as Hoi An, Sapa or Nha Trang, splendid Trang An Grottoes, spectacular sightseeing Tam Coc and preserving Cuc Phuong National Park help the town not be outperformed by those places of attractions. 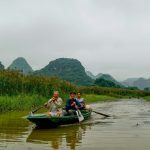 Ninh Binh may be a wise choice for Vietnam family tours to take out the most pleasant of enjoying the scenic view of limestone caves, natural stone sculptures while taking a leisurely hand-rowed boat trip down the opaque turquoise river. On top of that, the largest Buddhist temple in Vietnam - Bai Dinh Temple where worships the God of Nature, God of Mountain and the Transcendent is located 15 km from the Ninh Binh city center. Admiring the temple's splendor or coming across the mysterious, secluded atmosphere is also interesting experiences that Ninh Binh can deliver. 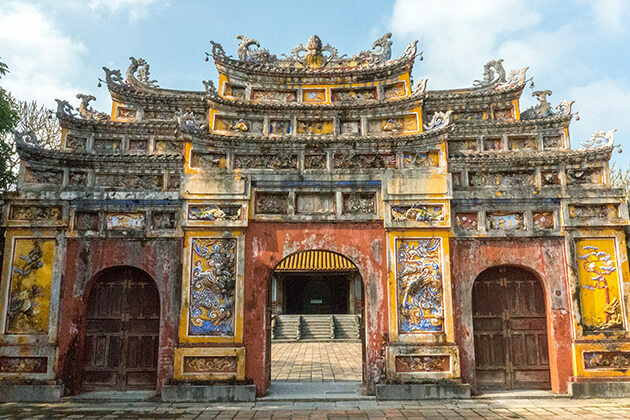 Quang Binh impresses tourists not only stunning sandy beaches but also by Dong Hoi temple, an invincible fortress in shape of a star, constructed by Minh Mang Emperor with the aim of protecting Hue capital. Now, there is no more war in Vietnam, but Dong Hoi stand nicely as a witness to the bravery of Vietnamese in old times. But, above all, Phong Nha cave is the most treasury place of Quang Binh, with the longest grotto in Asia, and plenty of spectacular caves to visit. Your family surely will be interested in exploring the stunning limestone caves which are dubbed “ Halong Bay on land”. Moreover, Van La tunnel, which people established in 1966 to avoid American’s bomb, is a worthy area to pay a visit as well. Hoi An is a family-friendly ancient town that still retains many remnants of its old days as a trading port. The bustling town and its beautiful surrounding countryside offer wonderful traveling experience for all tourists from friendly people, incredible food, and ancient culture. When it comes to traditional food, Hoi An can be a great place for a foodie family looking for a little adventure. Your family can choose from European or Vietnamese restaurants offering amazing freshly cooked dishes or even the street food stalls of Hoi An can serve the best traditional food. Just walk around the old town and enjoy the traditional food with the locals. Cooking classes are also an exciting thing to do with the family in Hoi An, you will be escorted to the local wet market by a chef and learn about the using of herbs and spices in Vietnam cooking method, buy the fresh ingredients then back to the kitchen to prepare your own Vietnam traditional dishes. It can be great fun for the family to spend Vietnam family holidays exploring this ancient town. Ho Chi Minh City, formerly known as Saigon is a place that can’t be struck off any list of top visited places for the Vietnam family vacations. Remnants and historic landmarks of the old Saigon are still visible while the modern lifestyle and newly – built skyscrapers are making a dramatic change to this largest city in Vietnam. This vibrant city offers a great adventure for the whole family, primarily at its street level, as there is always something for you to discover around the next corner. 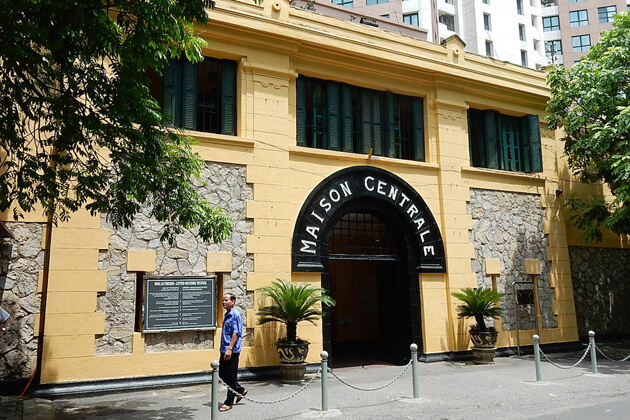 Join a Vespa scooter tour around Saigon or a little explore the untold stories behind its local life on the backstreet can help all of your family members immerse into the city life. A visit to this young bustling city on the Vietnam customized holidays is not recognized perfect without experiencing its nightlife and street food. Your family will fall in love with the bustle and hustle of Ho Chi Minh City. The rich and lush delta covered with rice fields and fish farms that yield sizeable surplus to feed the whole country give Mekong Delta the nickname “The rice basket of Vietnam”. Moreover, do you know that Mekong River is the 11th largest river on earth? 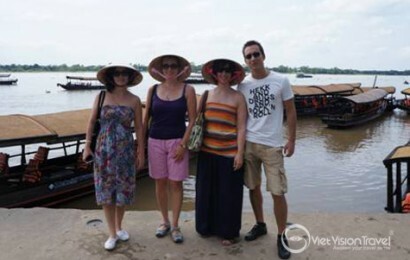 Traveling to Mekong Delta is a must-do to ensure such a memorable experience for a Vietnam family holidays package. 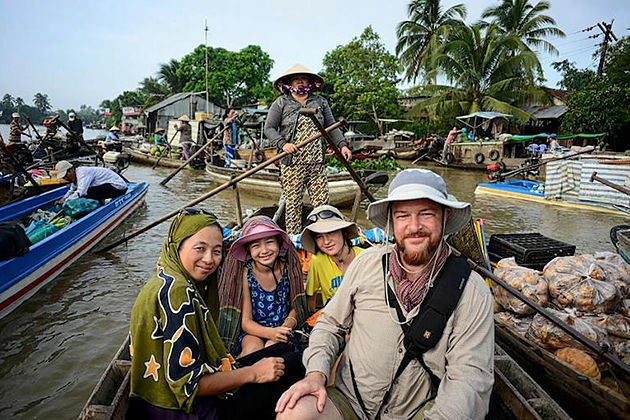 A tour of a traditional wooden boat navigating through the rivers and canals of Mekong Delta will show you all the secrets that the Mekong has to offer. Friendly locals working on the life-sustaining river, vendors grinning behind stacks of fruit on their sampans, kids riding on the backs of water buffaloes, green rice paddies shine under the sun, etc. The beautiful Mekong Delta can offer tons of great moments and adventure that you want to include on your family tour in Vietnam. The root of the Angkor Empire once upon a time now has been performed through the Angkor Complex with the uncountable number of temples to explore from sunrise to sunset. Vietnam and Cambodia family tours will help you unlock all the mysteries of this amazing land and get you closer to the local life of people on Tonle Sap Lake. 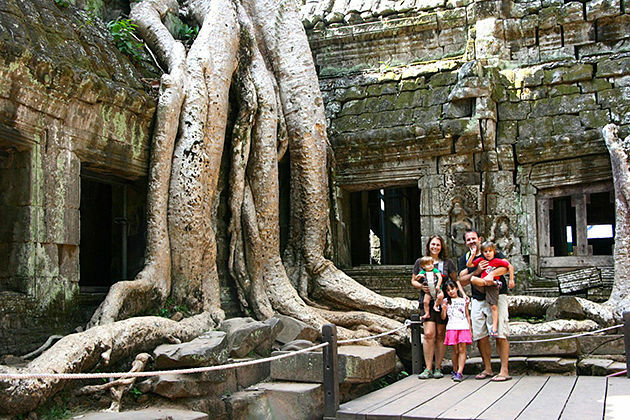 The Cambodia family tour packages from the ancient capital to the present one will be a great journey to explore the city full of attractions from impressive constructions, vibrant markets to marvelous temples. The family tours to Phnom Penh will absolutely fire your imaginations with sightseeing tours beyond your expectations. 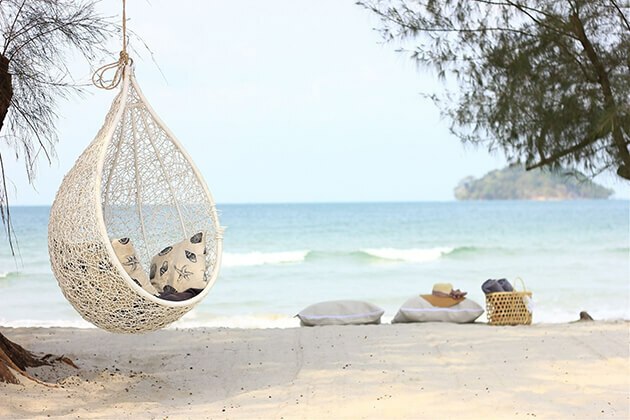 The dreaming beaches in Sihanoukville are wonderful places for relaxation after a long Cambodia and Vietnam family tours. Immerse yourself in cool water, breathe the fresh air from the ocean and try the best seafood will be the happy ending of your family tours. Wish you enjoy the most astounding Vietnam Family Holidays with Viet Vision Travel! So what do you need to prepare for a perfect Vietnam trip with your family here? These tips below definitely should be in your notes. What should be in your luggage? Actually, you do not have to worry that much, because Vietnam is known as one of the shopping heavens in Southeast Asia, so the necessities are surely supplied widely with an enjoyable price. But you will also need some special following things to make your Vietnam family holidays run as smoothly as possible. Travel documents, which includes passport, visas, travel insurance certificate, air tickets, and tour voucher. For the Vietnamese Visa on Arrival, please make sure you have 2 passports sized 4 cm x 6 cm photos and $25 for the stamping fee per family member. Money, yes, of course! In Vietnam, you could use cash and credit card (just make sure you let your card issuer bank know you’re going to use your card in Vietnam for security). You should have a number of Vietnamese Dongs for your convenience (and for your great feeling of a millionaire! ), in case you cannot prepare much before the big trip, don’t worry as exchange money in Vietnam is super easy, and many restaurants and places accepting foreign currencies. Medication, including a doctor’s letter if you are carrying a large amount of medication, prescription glasses, and contact lens solution if required. Insect repellent will be useful if you go with your kids. A camera will soon become your inseparable thing because this country is too beautiful to miss even a small scene. If you don’t carry a camera or phone along, you and your family members will definitely have a big regret. Kids’ Stuff: When your kids are happy, you are happy. Make sure all of your kids’ essentials are packed and ready, perhaps with their favorite toys, comic books, snack and coolest outfits… Adults like to enjoy new things yet kids prefer their own familiarities. When you go with your family, weather patterns of Vietnam will be something that is noteworthy because Vietnam’s climate surprisingly varies from region to region. As a destination is possible for all-year-around travel, you could choose the time schedule and places to visit as suitable as much for you and your family members. A good study on Vietnam weather on your vacation time helps a lot with your packing list too! In the North (from Hanoi to Sapa), a year has 04 seasons: Spring, Summer, Autumn, and Winter. Spring lasts from February to April with warm weather. From May to August is summer time with the super hot and showery weather. Cold air and the dry and slightly windy weather is features of autumn which last from September to November. It can be said that it is the most beautiful season in a year with yellow leaves falling on the streets and yellow bright shine in daytime although sometimes typhoons bring in some heavy rain and flood in the central part of the country. Winter lasts from November to January with the cold and dry weather. Frost and snow once or twice come in the mountains (over 1000 m above level sea), that make Vietnamese people eager to go up to see and take nice photos of such rare events of a year. The center (from Nha Trang to Hue) sunbathes most of the year and enjoys its showers for the whole November and December. Dalat, at an altitude of 1500m, is cooler than the coastal area, particularly from November to March. Da Nang and Hue both experience typhoon activity from mid-October to mid-December when the climate becomes cooler, more overcast and wet. The Southern region (from Ho Chi Minh City to Phan Thiet) is predominantly sun-equatorial with two main seasons of wet rainy one and dry one. A wet rainy season ranges from April to September. Showers often rain heavily but stop quickly. A dry season spans the months of October to May. The weather becomes hotter with all days of sunshine. However, it becomes much cooler at night. Foods take a big portion of our concern in every trip. It is not really “What will we eat there?”, but more exactly is “What can we eat there?”. But Vietnam is a different story, as this nation’s culinary art is so excellent and diverse which can charm anyone. Therefore anyone is able to find something fitting their stomach, regardless of their age or nationality. Big cities like Hanoi or Ho Chi Minh (Saigon) is truly food heaven, where you can find any type of restaurants for your family, from vegetarian dishes, French delicacies, Italian best known to traditional Vietnamese cuisine. The soul of food art is actually right on the pavement, not convinced yet? A “Banh mi” or a bowl of “Pho” surely will confirm their fame. The countryside is where you could experience real Vietnamese traditional meal cooked by your homestay host. And the beaches are fantastic with exotic seafood. The most beautiful thing is that they are at a very good price level. In this country, you can enjoy the true meaning of “Eat, Pray and Love” spirit. However, if you have problems with allergy or your kids need something special, you will need to discuss with the staffs about your family conditions and the foods’ ingredients before these fantastic meals start. Because there are so many things here to discover! This country will be a heaven or a mess; all depend on your plan. So all you need to do is clarify clearly what your family travels goal, whether it is a cultural discovering tour or a beach trip. 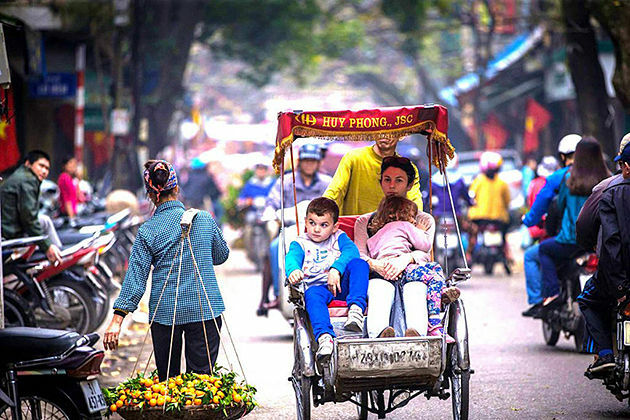 Here is some more information for the family traveling with kids: Cyclo: For a thrilling street-level tour of a city, you can’t beat a spin in one of Vietnam’s pedicab. Negotiate the rate ahead-$5is typical for an hour—and don’t hesitate to tip. Pagodas and Temples: Southern shrines are wild and wondrous, those in the North more lacquered and somber. Visit on full- or new-moon days- ask at your hotel- when Buddhists come to light incense and pray. Pickup Soccer: Vietnamese children spend their park time caught up in soccer, and they’ll be thrilled if your kids join them. Custom Tailors: Let your junior fashionistas design their dream outfits— and get overnight results!—at one of Vietnam’s affordable tailors. This is the best way to ignore your worry burden, as they will help to design the perfect itinerary depending on your needs and wants, give you some travel advice, take care of each family member, and also the paperwork. Local tour operator should be in the reference list, as they definitely understand their country and its culture more deeply than any outsiders. Arranging a private tour with the specialists will be cost-saving, less time-consuming, and much more conveniences added. Don’t make your kids cry or your mother grumbles along the road. Make the right choice!